Do not pay more taxes than you must. For tax preparation in Conroe, TX, that maximizes your savings and deductions, rely on Pierson & Pierson, CPA'S PLLC. The principle accountant of our tax services firm has been helping individuals and businesses save money on their taxes for more than 28 years. We provide accurate and timely tax, financial, and accounting services for our clients in Conroe, Houston, The Woodlands, Spring, and Kingwood, Texas. Rest assured that we use proven and legal methods to help our clients save money. Take advantage of our special offer to provide discounts for military members, firefighters, and police officers. Allow our knowledgeable and skilled professionals to prepare your taxes. Our tax preparers remain current on the latest changes in the tax code. We use that knowledge to minimize your total taxes and maximize your returns. Bring us the necessary paperwork, and we will prepare your return for you, taking the time to explain what we are doing and why in layman's terms. Our clients appreciate the personalized approach our professionals take to tax work. You are much too busy to prepare the taxes for your business. As the CEO, you have plenty of demands on your time. Let us crunch the numbers for small business tax preparation, so you can focus your attention on increasing profitability. 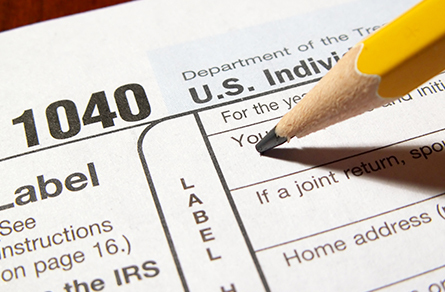 Tax preparation can be a daunting task. This is because you have so many documents you must gather, such as profit-and-loss statements, expense reports, and receipts. Rely on our professional tax preparers to take this task off your hands. Give us access to the necessary documents, and we file your return for you. Our tax preparers eliminate any possible errors by means of a tax return review. This involves painstakingly reviewing the results with you so that you have knowledge and understanding of the process. This review not only saves you time and money, but it is an excellent way to prevent inaccuracies that may catch the attention of the IRS. Avoid mistakes that may lead to inquiries or an audit by the IRS. Even a simple tax form can be confusing, and when you add forms and documentation for deductions and expenses, it is easy to make an error. However, your taxes must be perfect. Trust in us to prepare your return correctly, while finding every possible deduction. Contact us today to find every possible deduction on your tax return. We provide tax preparation and bookkeeping, as well as financial and accounting services for residents of Conroe, Houston, The Woodlands, Spring, Tomball, Montgomery, Magnolia and Kingwood, Texas.